Gabe Feldman, director of the Tulane Sports Law Program and Tulane University's associate provost for NCAA compliance, is one of the leading voices in the country in the growing field of sports law. Named the Paul and Abram B. Barron Associate Professor of Law in 2015, he also is co-founder and co-director of the Tulane Center for Sport. Feldman's extensive experience in sports law includes representing a variety of sports entities while he was in private practice, and he continues to act as a consultant for a number of clients in the sports industry. Feldman joined the Tulane Law faculty in 2005 after nearly five years as an associate with Williams & Connolly in Washington, D.C. Before that, he served as judicial clerk to Judge Susan H. Black of the U.S. Court of Appeals for the 11th Circuit in Jacksonville, Fla. He is regularly quoted in the New York Times, Wall Street Journal, USA Today and other newspapers throughout the country, and he has made numerous appearances on national television and radio. He currently serves as the on-air legal analyst for the NFL Network. Feldman is editor of The Sports Lawyers Journal, a law journal devoted to the study of sports law, and The Sports Lawyer, a monthly online newsletter, and was a sports law contributor to the now-defunct Grantland.com and the Sports Law Blog. He is director of publications for the Sports Lawyers Association; co-authored of one of the leading sports law casebooks in the country, Sports Law: Cases and Materials; is on the Articles Review Board for the Journal of Legal Aspects of Sport; and has been published in a variety of journals and periodicals. 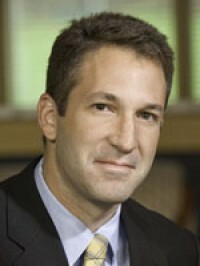 Much of his writing focuses on the intersection of antitrust, labor, intellectual property law and the sports industry. He also serves as a mediator and arbitrator. Feldman sits on the board of directors of the Sports Lawyers Association, Walk Again Athletic Warriors and Athletes for Hope, a nonprofit organization created to harness the power of sports to impact social change. He also is the director of Special Olympics in New Orleans and is a member of the NCAA Committee on Competitive Safeguards and Medical Aspects of Sports. He teaches Antitrust, Sports Law, Negotiation and Mediation and Contracts. In 2013, he received a President's Award for Graduate and Professional Teaching, a Tulane University recognition of excellence in teaching, learning and research.